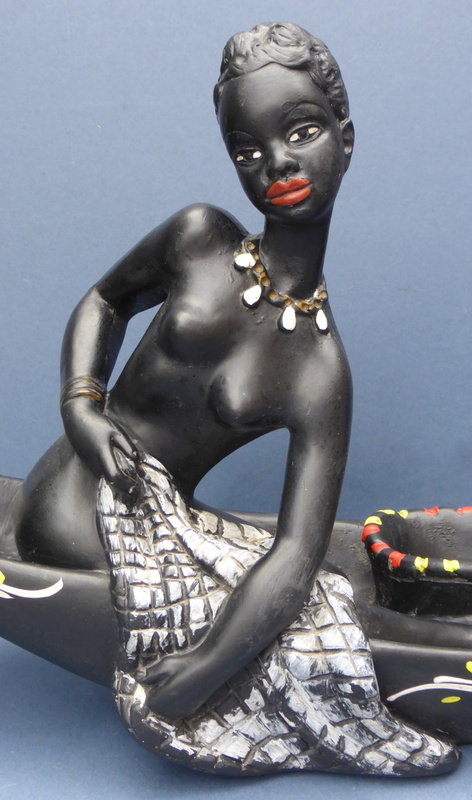 Huge 1950s Chalkware Figural African Group - Any Ideas About Maker? I've just bought this huge 1950s figure from a yard sale and I'm hoping someone can help identify the makers. It is made out of chalkware or some kind of plaster. It reminds me of wall masks from the 1950s. It is not particularly good quality but makes quite an impression! It measures 26" long by 10.5" tall. 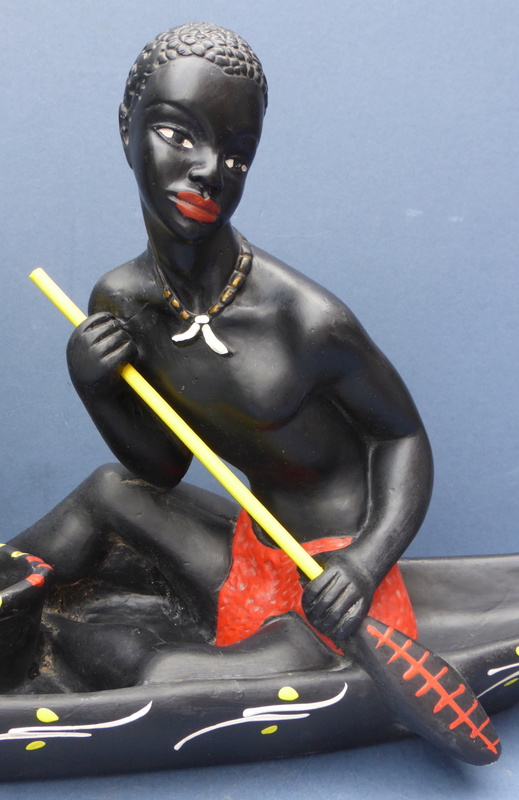 Re: Huge 1950s Chalkware Figural African Group - Any Ideas About Maker? It looks very Italian 1950s. Hello, I did think maybe Italian - I think a lot of the chalkware wall masks were made in Italy. That chalkware blog/website is incredibly thorough - if you need to know company addresses and 1950s naturalisation references! Useful information about the products is a bit scarce. Yes it is a great place to find info about British chalkware - I was so glad when I found it. 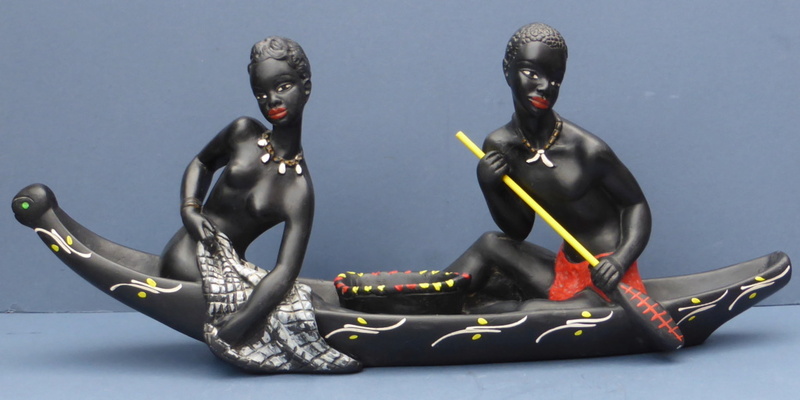 Clarehelen wrote: I've been doing a bit more research on this piece and it seems likely to have been made by DN Art Products. This company was based in Manchester. It was run by Diomede Nieri who traded as DN Art Products. Hi, thanks for the feedback on the website. I'm the researcher/author. Just wanted to let you know I have found out a little bit more on the pieces if you want to go back to the site. If I do find out more, I'll let you know! Hi, would you mind if I take those pictures to add to the site? It's always good to see colour versions rather than the ones I find in the National Archives.